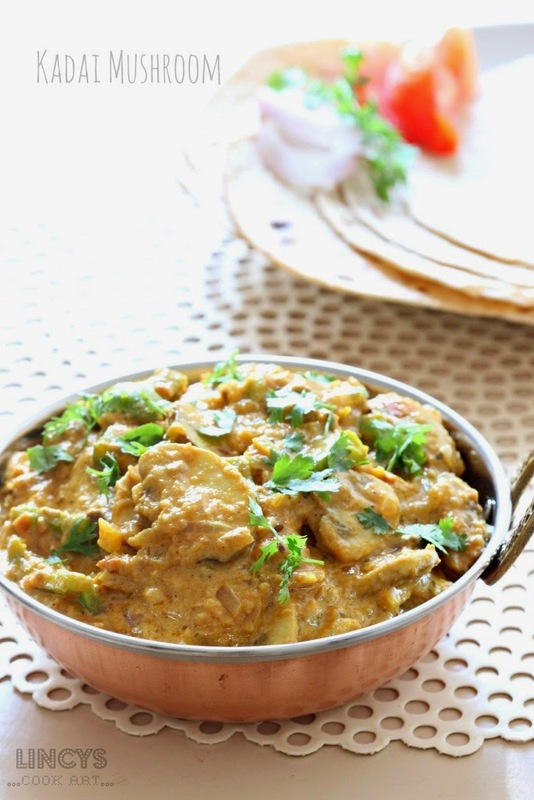 Kadai Mushroom is an easy to make tasty side dish for roti or paratha. 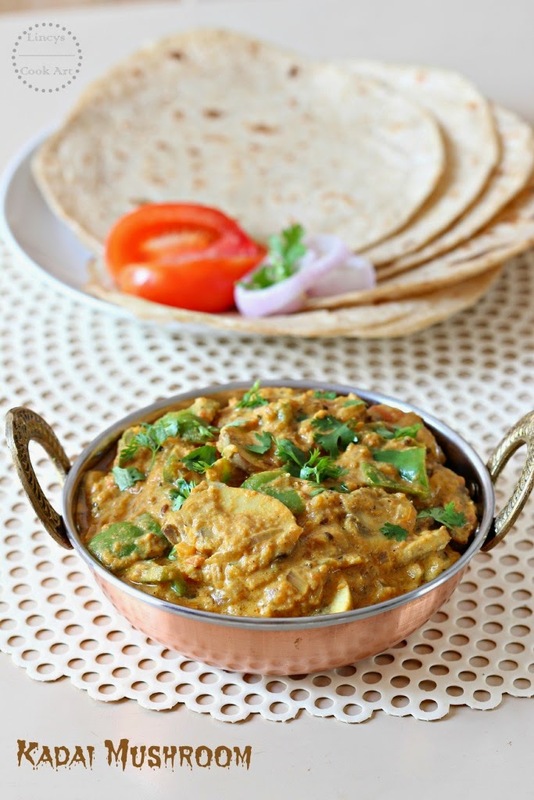 I often make Kadai dish with Paneer or Mushroom when i want to prepare easy to make but a tasty side dish for rotis. I prepare it for dinner or even for my hubbys lunch box. Perfect low calorie vegetarian tasty side dish. You could make this dish for small gatherings too. Mushroom cooks fast and I make this dish within 25 minutes in the morning for hubbys lunch box. I generally make it with fresh yogurt which is available at my home always. 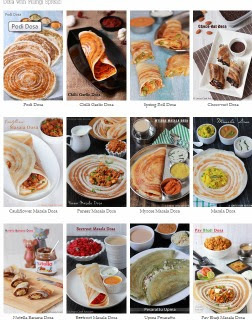 It goes well with any rotis, parathas and naan. Cut the mushroom, capsicum and finely chop the onions. Grind cut tomato inside a blender jar and make as a fine puree. Heat ghee in a pan add the cut capsicum and roast till white blisters starts to appear. Now add the cut mushroom and a pinch of salt and roast with capsicum for a minute or two and set aside. Now add the chopped onion and cook till soft then add the ginger garlic paste and cook till the raw smell leaves for around thirty seconds. Add the pureed tomatoes and cook for two minutes. Add turmeric powder, chilli powder, coriander powder and garam masala powder. Mix well and cook the gravy till the raw masala smell leaves. Add the roasted mushroom and capsicum and allow the gravy to boil for a minute. Add salt if needed. Now add the fresh cream (or) thick yogurt as i shown in picture without liquid portion(beaten) and mix well and immediately and switch off the gas. Use fresh yogurt(less sour) without much water content.